ICOAI 2019 are the workshops of the ICCSIT 2019, which was held in Paris, Singapore, Beijing, Chengdu, Hong Kong, Paris, Barcelona, Amsterdam, Limerick City, and Florence. We organize Workshops and Tour for your best experiences in ICCSIT 2019 and ICOAI 2019. 2019 5th International Conference on Artificial Intelligence(ICOAI 2019) will be held during in University of Barcelona, Spain during December 18-20, 2019. The aim objective of ICOAI 2019 is to provide a platform for researchers, engineers, academicians as well as industrial professionals from all over the world to present their research results and development activities in Artificial Intelligence. This conference provides opportunities for the delegates to exchange new ideas and application experiences face to face, to establish business or research relations and to find global partners for future collaboration. Submitted conference papers will be reviewed by technical committees of the Conference and published in Journals. 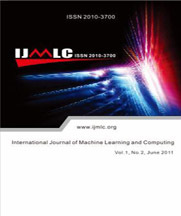 Paper accepted by ICOAI 2019 will be published in one of the following Journals after review process. 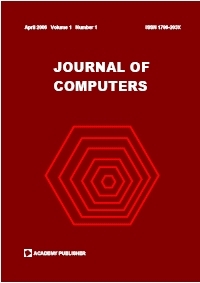 Welcome you to submit the paper by Electronic Submission System. Index: Scopus(since 2017), EI (INSPEC, IET), Google Scholar, Crossref, ProQuest, Electronic Journals Library., DOAJ and EI (INSPEC, IET).